COLUMBUS — Motor vehicle crashes remain the leading cause of death for teenagers, and the problem is getting worse. Teen crash rates continue to rise in Ohio, putting everyone at risk. In advance of Teen Driver Safety Week (Oct. 21-27), AAA encourages lawmakers to pass important lifesaving legislation that will make Ohio’s roads safer by modernizing Ohio’s young driver licensing system. A series of press events and rallies are being held in Toledo, Dayton, Cincinnati and Columbus today to support this cause. The Columbus event will take place at 10 a.m. at the Ohio Statehouse in the Senate Press Room. 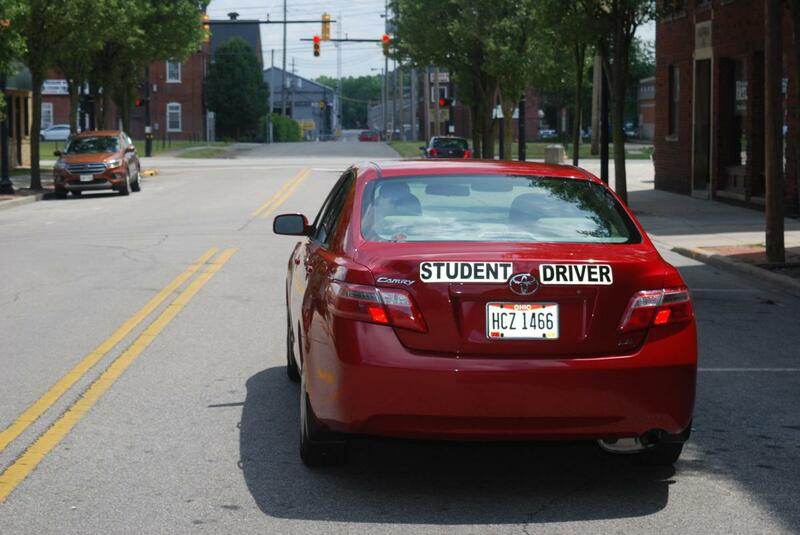 The number of people killed or injured in Ohio teen driver crashes jumped 15 percent in just two years. In 2017, 116 teens died in crashes on Ohio’s roads. New teen drivers, ages 16-17 are three times as likely as adults to be involved in a deadly crash. It’s an issue that impacts everyone, as the AAA Foundation for Traffic Safety found two-thirds of those injured or killed in crashes involving teen drivers are people other than the teen driver. Inexperience accounts for a large number of teen crashes. Nighttime driving is especially dangerous for these young novice drivers. Ensure teens gain experience driving in all seasons with an adult along to guide them during a year-long learner’s permit. Give young novice drivers more practice driving at night with an adult driver to keep them safe, by starting the nighttime driving protection for newly licensed teen drivers at 10 p.m., rather than midnight. The nighttime driving protection is not a curfew. Newly licensed teen drivers can still drive after 10 p.m., with an adult present. The bill also provides exemptions for newly licensed teen drivers driving to or from work, school and religious activities after 10 p.m.
A new AAA Foundation for Traffic Safety study confirms the importance of having an adult driver along to help guide young novice drivers. The study found that when a teen driver has only teen passengers in their vehicle, the fatality rate increased 51 percent. In contrast, when older passengers (35 or older) ride with a teen driver, overall fatality rates in crashes decreased 8 percent. A 2013 AAA survey found 90 percent of Ohio parents with teenagers supported a 10 p.m. nighttime driving protection. After North Carolina enacted a 12-month learner’s permit, 95 percent of parents surveyed said 12 months was just right or not long enough. H.B. 293 passed out of the Ohio House Transportation and Public Safety committee on Feb. 28, 2018 and has been awaiting a House floor vote. The bill must pass the House and Senate by the end of the year in order to become law. A coalition of more than 50 organizations, including AAA, the insurance industry, law enforcement, hospitals, teens, and the Parent Teacher Association, is urging lawmakers to take action. The bill has no known opponents.